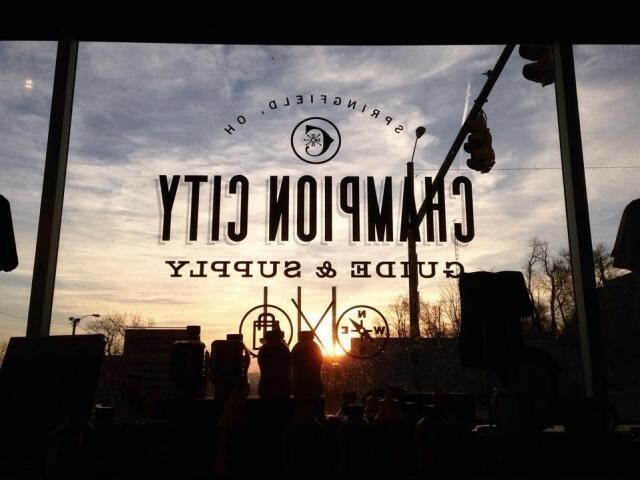 ﻿ Champion City Guide & Supply - Ohio. Find It Here. Champion City Guide & Supply is a partnership of The Chamber of Greater Springfield, and the Greater Springfield Convention and Visitors Bureau. 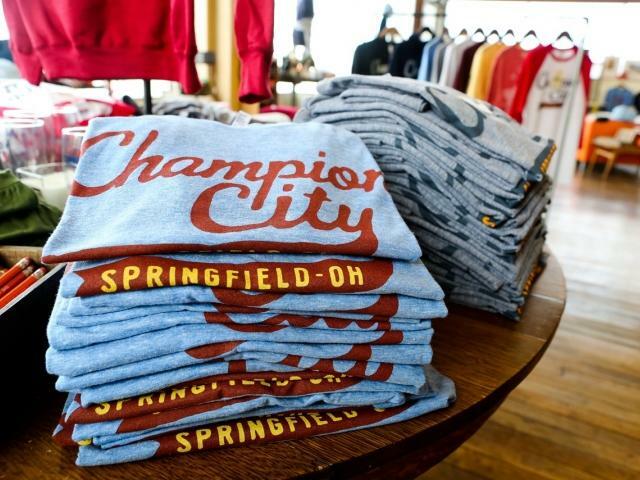 Champion City is a retail store and visitor center featuring heritage apparel, local artisan goods and Springfield-centric merchandise. 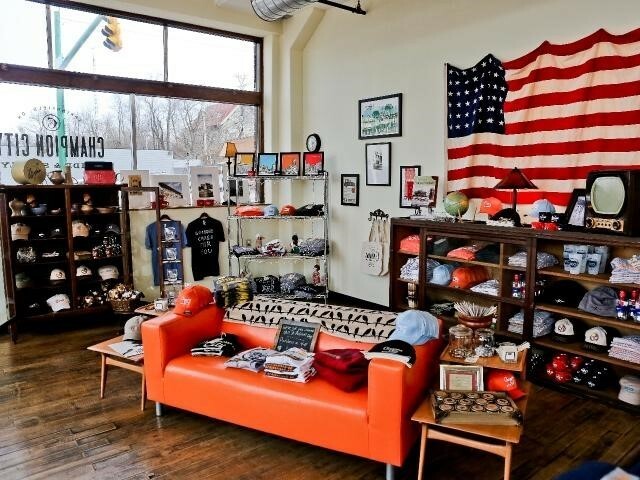 The store is located in the historic Tuttle Building at the corner of Main and Spring Streets, in downtown Springfield. Come meet our friendly associates who work with the CVB, and/or grew up in Springfield and who are always willing to chat about Springfield and the store's merchandise. 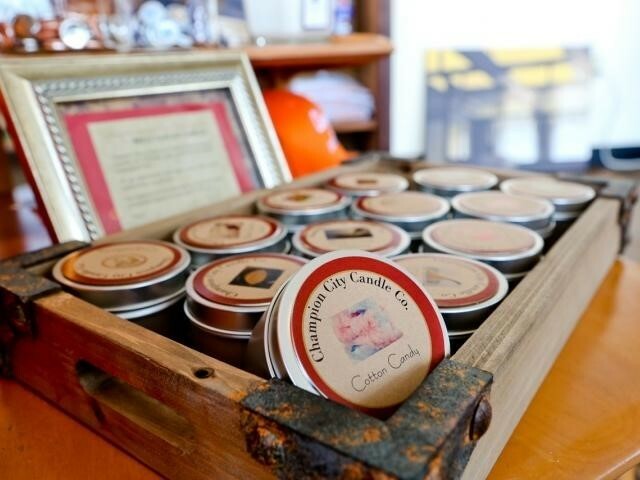 Designed locally, or consigned through local artists, Champion City likes to highlight all the great talent we have right here in Springfield. So while you shop for rad tee shirts, candles, mugs (everything) don't forget to ask the staff any yearning questions you may have about Springfield!